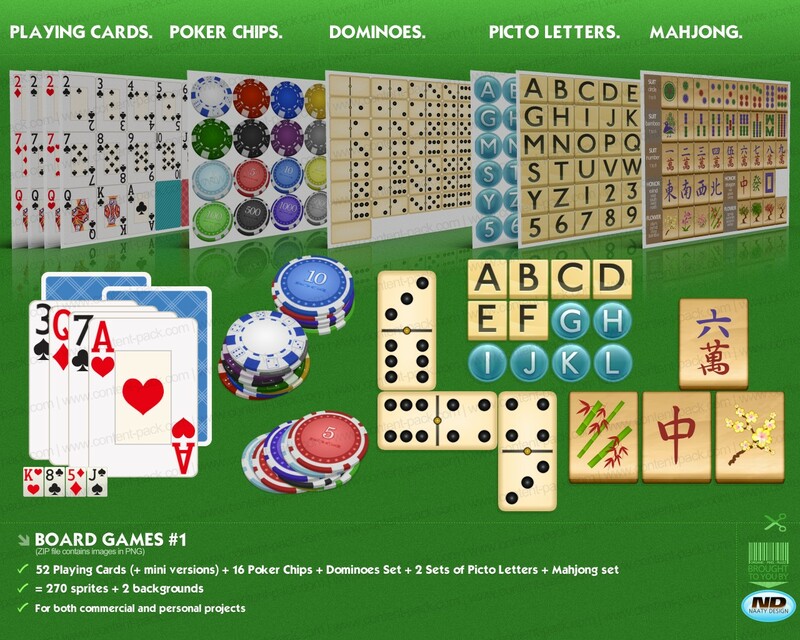 52 playing Cards (+ mini deck) + 16 Poker Chips + Dominoes Set + 2 sets of Picto letters + Mahjong set + 2 backgrounds (green and blue mats). → To take a look at the graphic assets in scale 1:1, right-click on the picture to open it in a new tab or click here. Prototype now using quality assets: huge time-saving! Partager la publication "Boardgames volume 1"